The Series 3 350cc-4 shaver with Clean&Charge Station is Specially designed to deliver an efficient close shave and a gentle skin experience. 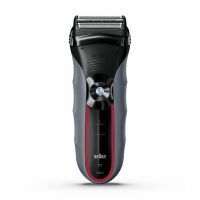 This Trimmer Running/Charging time Full charge in 1 hour for 45 minutes of shaving time. 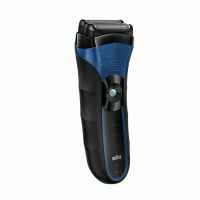 5 minutes quick charge is enough for one shave. The Braun Series 3 is IPX7 certified - it could be submerged in 5 meter deep water without a problem. Which means you can comfortably rinse it under running water for easy cleaning. It also comes Triple Action FreeFloat System and Triple Action Cutting System. 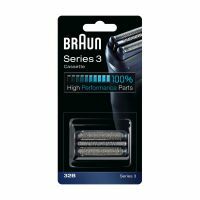 To Recieve updates and possible rewards for Braun 350cc-4 shaver please sign in. To Recieve updates and possible rewards for Trimmer, Clipper & Shaver please sign in.